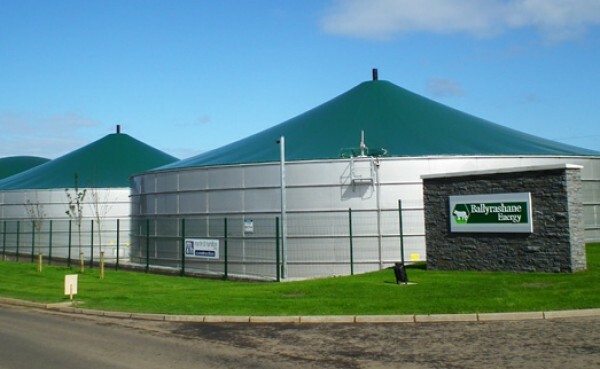 New Anaerobic Digester facility outside Coleraine. 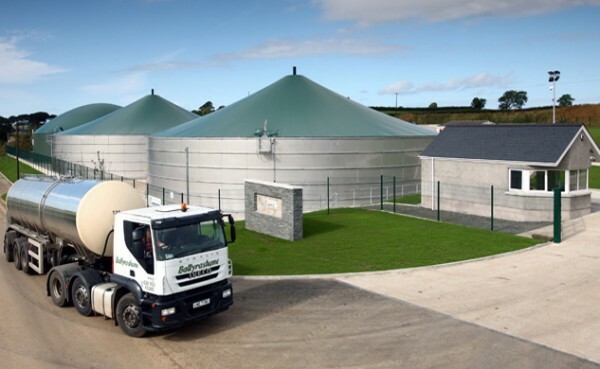 The new purpose-built facility sits on a four acre site at the company’s existing farm premises near the Ballyrashane Creamery facility. 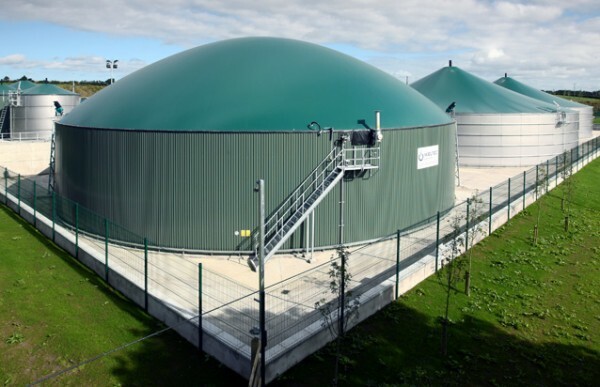 This plant utilises Anaerobic Digestion (AD) Tank Technology to produce renewable biogas from creamery wastes, energy crops and cattle slurry from local farms. This generates more than 7 million kWh of electricity and additional process heat through combined heat and power technology. 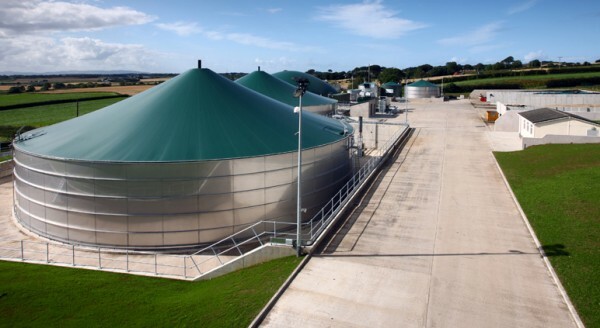 The process will also provide odour-free bio-fertiliser as a by-product for use in local farming production. The Carbon Trust identified the project as unique to the sector given the co-operation between the dairy and local farmers, demonstrating an innovative approach to cutting costs and a reliance on fossil fuels. On behalf of the Ballyrashane Co-op Board and members I’d like to pay tribute to Ian Campbell (Ballyrashane Creamery Energy Team) and his team who have ensured this demanding project has been delivered successfully in line with what were quite ambitious timelines. He was greatly supported by Martin & Hamilton, the main contractor and Grants Electrical who had to work through some very difficult weather conditions during last autumn and winter but managed to deliver the project on time." A bit more information about the the Ballyrashane Energy project.